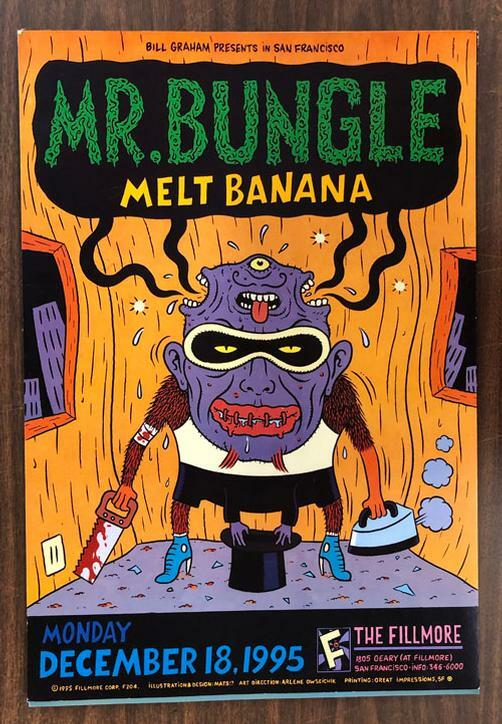 Original concert poster for Mr Bungle with Mike Patton at The Fillmore in San Francisco in 1995. 13x19 card stock. Art by Mats? F204. Handling marks and edge wear.